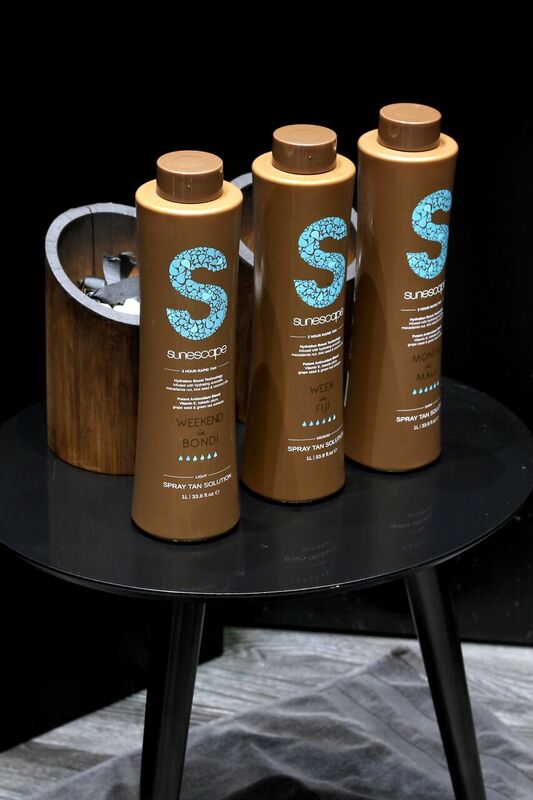 Using Australian owned and manufactured SunEscape Tan (2 hour develop time) and Aussie Bombshell (4 hours develop time). For the best tan choose to get tanned 2 days before your event. The week of your tan be sure to exfoliate and moisturise every day leading up to your event. after 2 -4 hours depending on how dark you want the tan have a shower and rinse all the solution off use no soap (you will walk out completely white and then again tap dry and wear loose clothing) your tan will then develop over the next 12-24 hours. 2nd shower use a moisturising soap in the areas of need, once dry apply a moisturiser to seal the tan.